Because 2018 is determined to be a million times better than 2017, we now have Lucky Charms Frosted Flakes in our lives. Yes, you heard that correctly. LUCKY CHARMS FROSTED FLAKES. 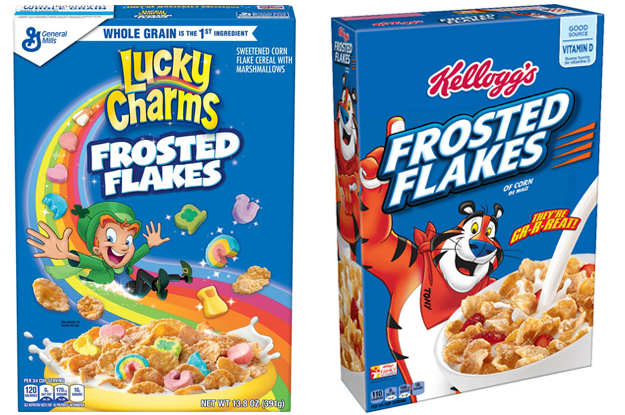 And, for the record, these are NOT Kellogg's Frosted Flakes, but General Mills' own version of sweetened cornflakes. ANYWAY...when we heard about this magical, sugary masterpiece, NATURALLY we had to try it. When we poured out a bowl, we thought it looked less like something we'd normally eat and more like something Kevin McCallister would've made while hanging out at home alone. 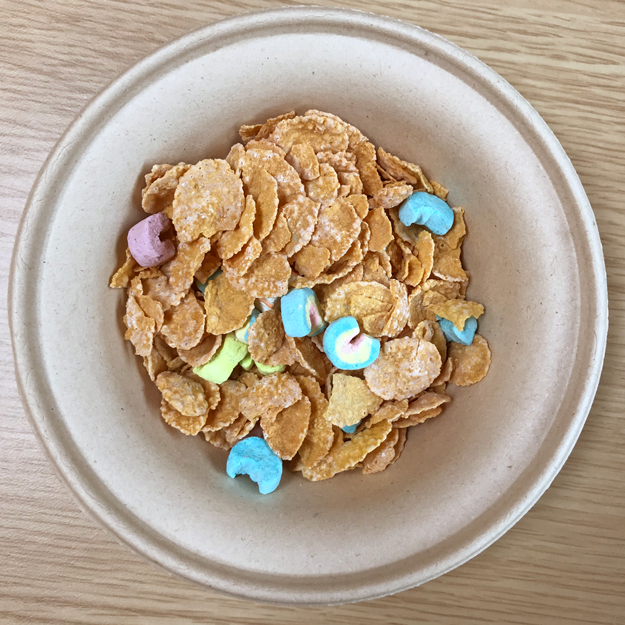 It's literally Lucky Charms marshmallows mixed in with frosted cornflakes. Pablo: I’m riding my rainbow to the grocery store and getting a few dozen more boxes of this stuff. Crystal: Call me a converted Lucky Charms fan, because I'd gladly rob a leprechaun for these.